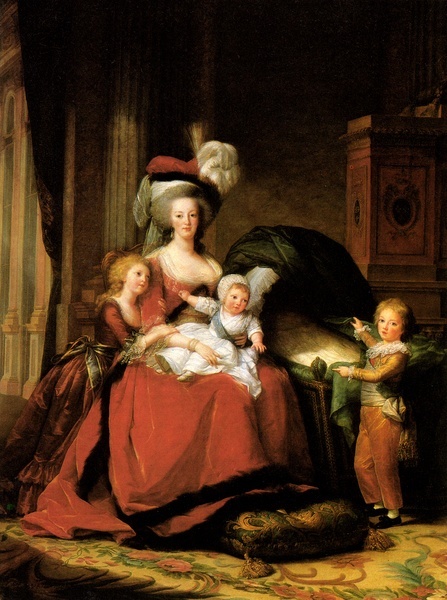 Yes, I know, this is old news, but would this blog still deserve its name of Versailles and more if I failed to mention that Google’s Art Project, which features some of the foremost museums in the world, allows its viewers to discover the Palace of Versailles and what may be its most famous painting, the lifesize portrait of Marie-Antoinette and her children by Louise-Elisabeth Vigee-Lebrun? As for the portrait of Marie-Antoinette, you can explore the painting in amazing detail, far more so than during an actual visit of Versailles. I am working on a post dedicated to Madame Vigee-Lebrun’s masterpiece, and can’t wait to share my thoughts about it. I tried various browsers for this, and (surprise…) found that Google Chrome allows for the best experience. Enjoy your visit!